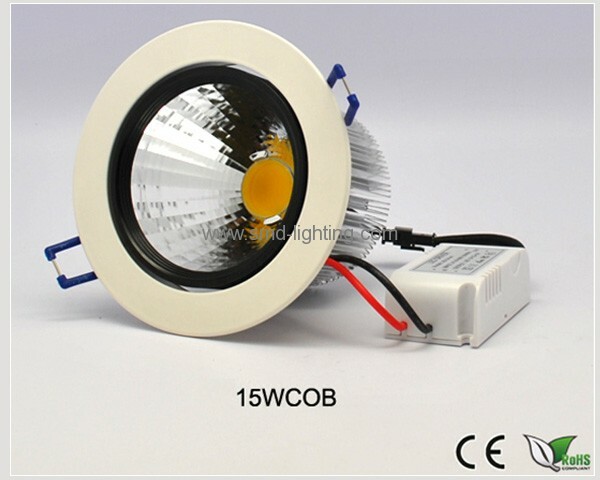 15W COB LED Replacement downlight,15W COB LED Ceiling Downlight,The future of LED Lighting is here!!! These DL lighting 15w downlight kits incorporate the very latest in COB LED technology. COB (Chip On Board) technology allows the LED component to be integrated onto the wafer thin circuit board. This has many advantages such as the ability to integrate multiple LED chips into less space and better thermal efficiency. Designed and manufactured to the highest standard these downlight's are sure to impress and at only 15w they are super efficient and very bright. Finished in beautiful satin white with a very unique modern minimalist design, these downlight's are perfect for luxury applications such as high-end residential or commercial.